Over 50 members and visitors attended our Open Night last Wednesday (13 March). Thanks to the generosity of many parties there were a superb auction of fishing tackle (our first for several years) and a superb raffle, which together raised the fantastic total of £2200 to be split evenly between our two chosen charities Help for Heroes and the Childrens Hospice Association Scotland (CHAS). 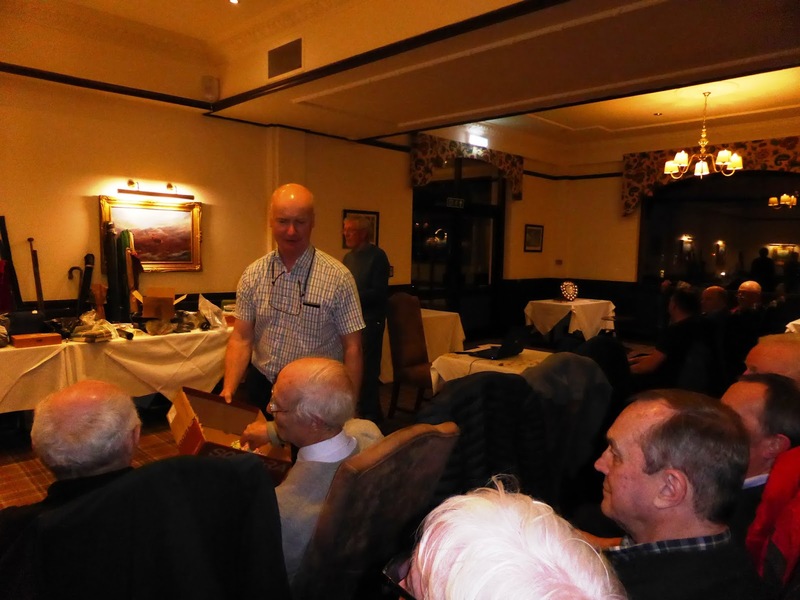 Many thanks to all who made the evening such a success by donating raffle prizes and items for the auction, and buying raffle tickets and auction items. The Open Night also included our Presentation of Prizes and an excellent talk on "Arctic charr and brown trout diversity in the River Tay system - two species, many ecological forms" by Professor Eric Verspoor of the University of the Highlands and Islands in Inverness.